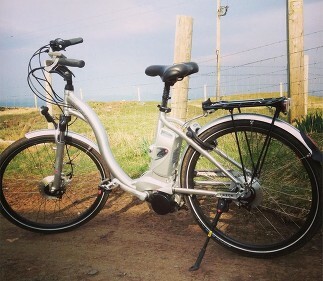 Mull now has a new business providing electric cycle hire. 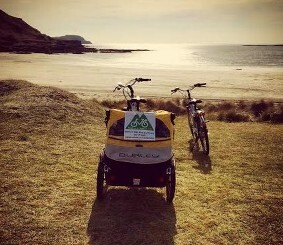 These are not motor bikes but pedal assisted electric cycles. The power assist helps when you pedal, making it perfect for getting up hills (Mull has a lot of hills), or when you are cycling into a headwind. Trailers available, the motor makes towing wee ones enjoyable and transporting camping gear a doddle!